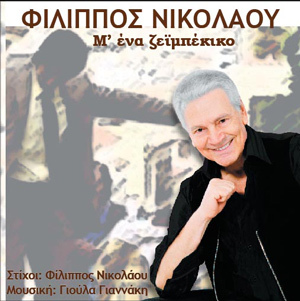 Filippos Nikolaou is a well known artist in the Greek music pentagram. His new work will take you in his world, with the melody, the expressiveness and the nice lyrics written by the artist himself. We picked out the songs “Ithaki” and “Me ena zeimpekiko” that will be his new hits. The music belongs to Gioula Giannaki.